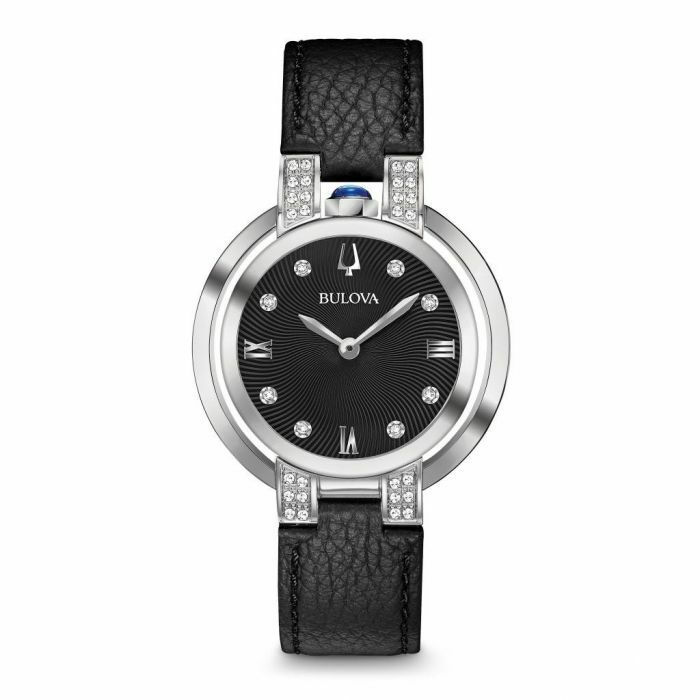 Stainless steel case and black leather strap, adorned by unique crown placement at the utmost point on the watch case. From the Rubaiyat Collection. Legendary heritage reinvented in stainless steel case with synthetic blue spinel cabochon crown at 12 o'clock position and 36 diamonds individually hand set on case and textured black dial, double curved sapphire crystal, black leather strap lined in merlot with double-press deployant closure, iconic dye struck "Goddess of Time" dimensional case back, and water resistance to 30 meters.